Not easy to photograph, but still powerful, this huge Ilvaite crystal is very brilliant and sharp. 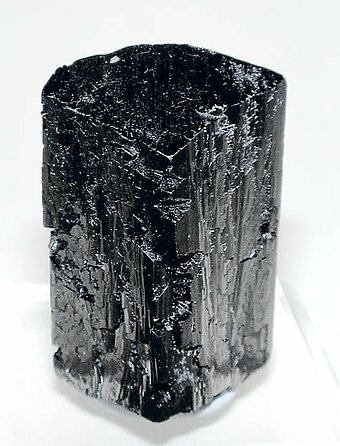 Recrystallized on its bottom. As we mentioned much better than you can see in photo. 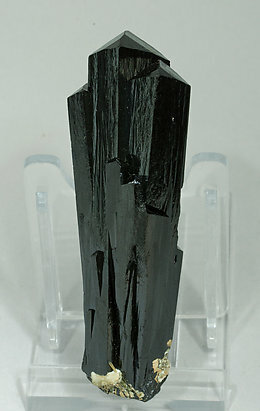 Group of crystals with very well defined faces and edges, perfect terminations, a good size, and especially with a splendid luster. The supply of samples with these characteristics has currently decreased because most of the pieces now seen have a dull matte luster. A novelty in Munich 2010. Irregular aggregate very rich with prismatic crystals with very well defined faces and edges. The crystals are very bright; they have perfect terminations and are partially coated by Calcite. A great and uncommon sample. 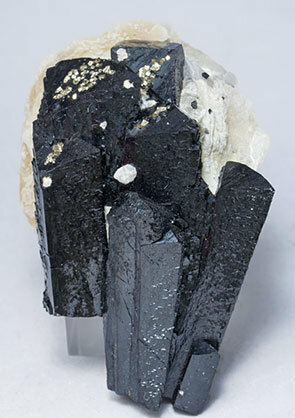 Aggregate of Ilvaite crystals with bright and very well defined faces and edges, on a matrix of very platy Calcite crystals partially coated by small cubic Pyrite crystals. The Ilvaites from Dalnegorsk, relatively abundant some years ago, are now scarce, even moreso in this quality. Once in a while a particular specimen really grabs me. 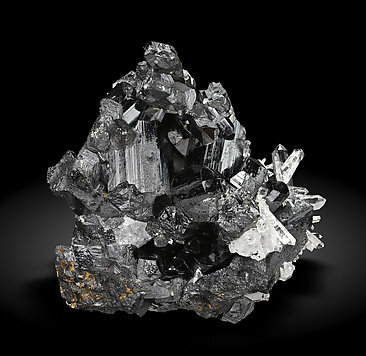 In this case the incredible esthetics of this doubly terminated Ilvaite which seems to be resting on a bed of crystals of Hedenbergite really appeals to me. 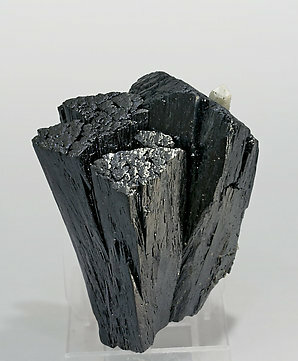 And to just to add to the party there is a band of brilliant metallic Galena as the base of the specimen. 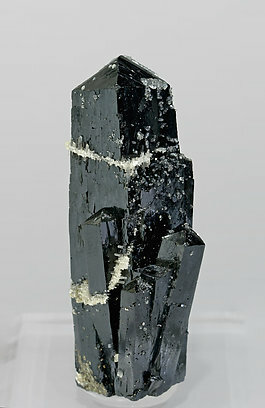 Parallel growth, slightly divergent, of very bright elongated crystals with very well defined faces and edges, perfect terminations and a small growth of Hedenbergite crystals at the base. This Ilvaite has much better quality than most Huanggang samples, which are generally more matte-textured and rough. 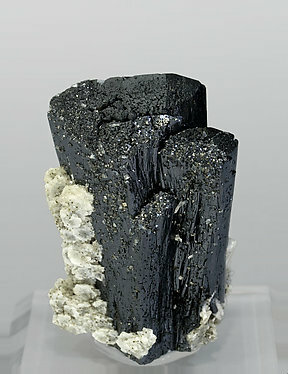 Aggregate of very thick short prismatic crystals with very well defined faces and edges. They are partially coated by small octahedral Fluorite crystals and are on a Quartz matrix. 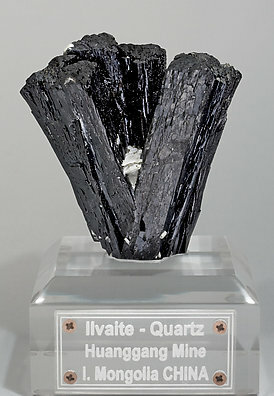 The crystals are really large, and brighter than usual with Ilvaite from this mine whose samples are progressively scarce. 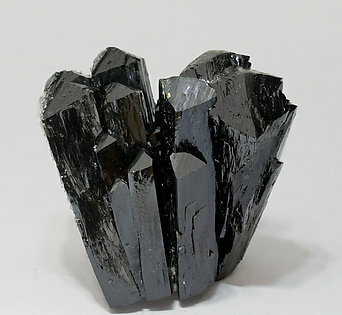 Prismatic crystals of excellent black color and luster. The crystal has very sharply defined faces and edges and a perfect termination and its lenght is uncommon. The Ilvaites from Dalnegorsk, relatively abundant some years ago, are now scarce. 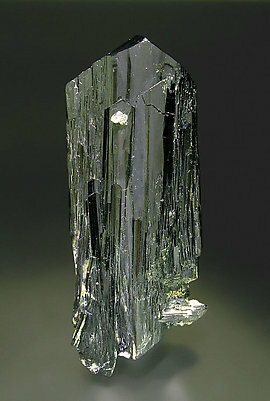 Very aerial crystal of Ilvaite with very well defined faces and edges and partially doubly terminated, implanted on a Quartz crystal with very notable polycrystalline growths. An excellent sample of the progressively scarce Chinese Ilvaites. A novelty in Munich 2010. 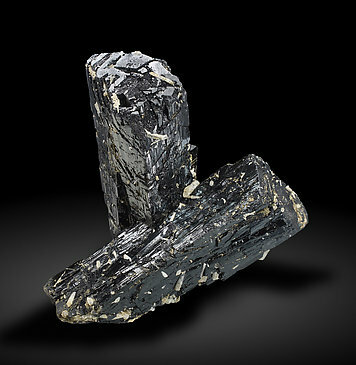 Divergent growths and parallel growths of bright crystals of Ilvaite, with very well defined faces and edges with perfect terminations and small coatings of Quartz. A novelty in Munich 2010. 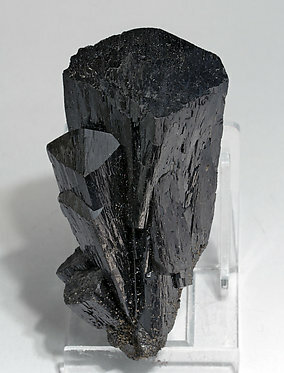 Aggregate of prismatic crystals with slightly curved edges. They are very bright and have big polycrystalline terminations and small coatings of Quartz. A novelty in Munich 2010. 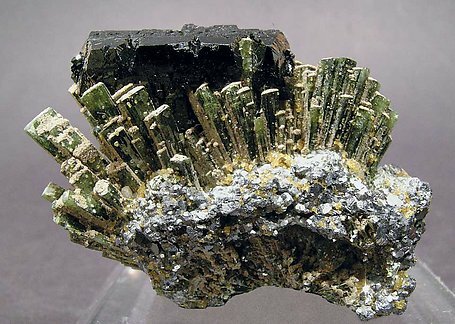 Parallel growth of bright Ilvaite crystals with slightly curved lateral edges. They have perfect terminations and are with Quartz and Calcite crystals. 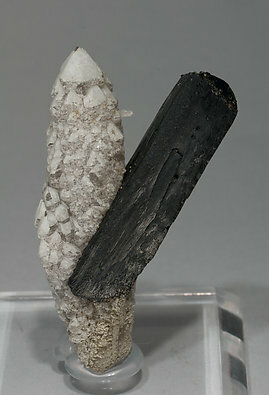 Divergent aggregate of very well defined crystals with good terminations. They have marked curvatures of the prism edges, are bright and are with small Quartz growths. 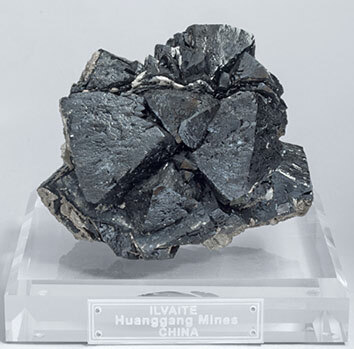 The sample is very representative of the first finds in Huanggang in 2010, in which some of the samples had an intense luster.